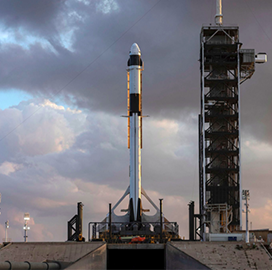 SpaceX’s Crew Dragon spacecraft is now slated to launch on March 2 for its Demo-1 uncrewed test flight to the International Space Station following extended assessments, hardware testing, data verification and personnel training. Boeing will also launch its CST-100 Starliner spacecraft for the uncrewed Orbital Flight Test to the ISS no earlier than April, NASA said Wednesday. The flight tests will serve as “dress rehearsals” for transporting astronauts aboard the spacecraft as part of NASA’s Commercial Crew Program, which seeks to establish a safe and cost-effective way of accessing the ISS and low-Earth orbit. “NASA has been working together with SpaceX and Boeing to make sure we are ready to conduct these test flights and get ready to learn critical information that will further help us to fly our crews safely. We always learn from tests,” said Kathy Lueders, program manager for NASA's commercial crew effort. Boeing is continuing assessments for Starliner ahead of its test flight, while United Launch Alliance is facilitating final processing activities for the Atlas V rocket that will launch Starliner from Cape Canaveral Air Force Station in Florida. SpaceX and Boeing will also conduct crewed flight tests before NASA authorizes the spacecraft to be utilized for crew rotation missions.